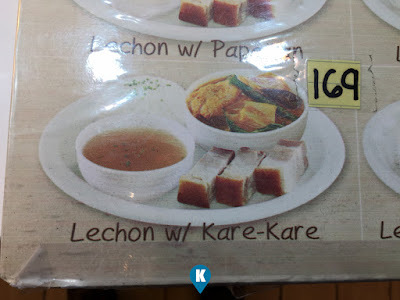 In a food review we had last year, we had lechon with kare kare. 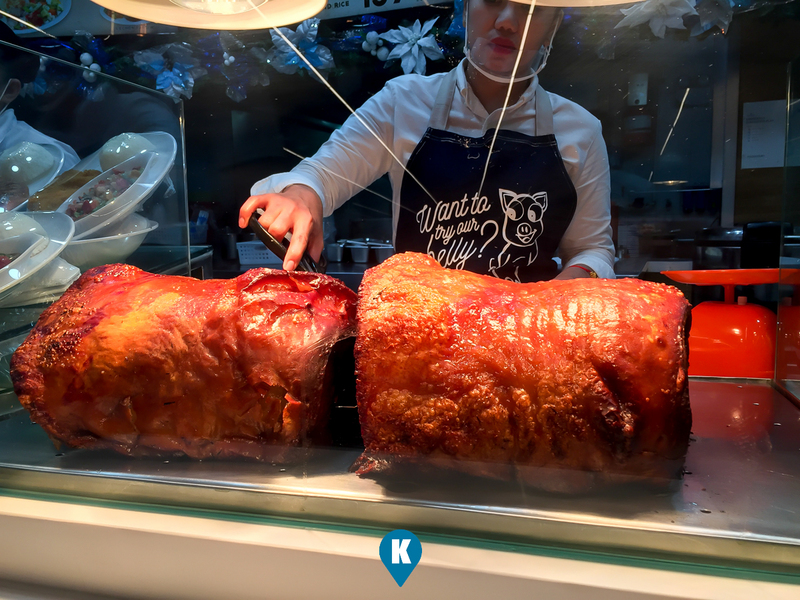 When we found this new restaurant in the SM Megamall Food Court, we grabbed the chance to taste this one and compare with our previous. 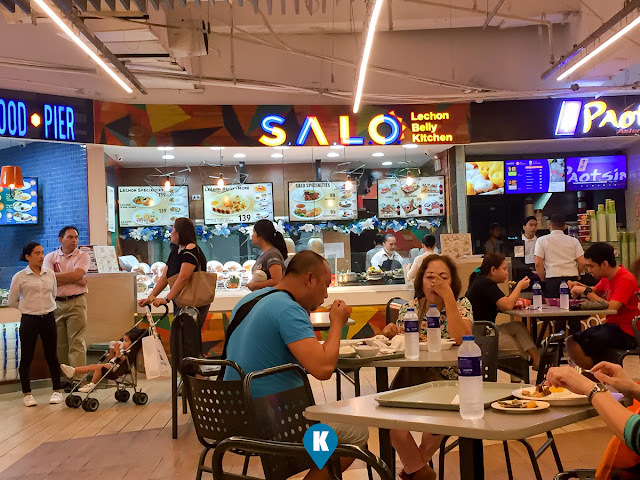 Salo, the new resto was so new that their Point of Sales (POS) unit wasn't operational yet. The cashier had to manually make a receipt for my purchase. Since they were new, they had to make an impression. 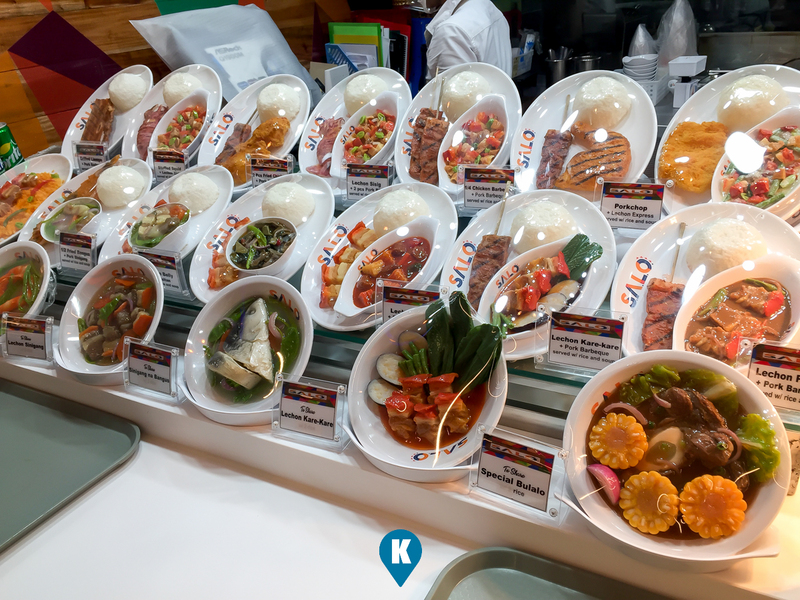 There were a large array of dishes in full view of the would be diners. Very impressive I thought, although I have already set decision over my food order. The lechon belly + kare kare was served right away with no hitch. As I was given my change, my order was handed over. Very fast. Not surprising as they were in a food court where everything should be fast, plus my receipt was being written down. Nothing is much slower than that. LOL. After sitting down with my order, I had now the chance to scrutinize the whole thing. 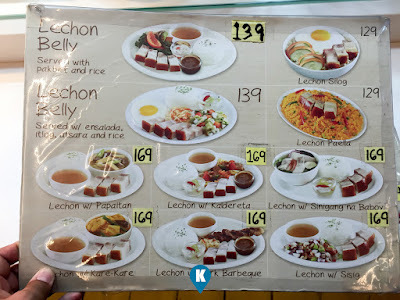 I only got 3 small pieces of lechon belly, a few pieces of meat in my kare kare, with one pechay leaf on top and one small chunk of eggplant. I had an issue with their serving size. My cup of rice was small, it was as if it was half a cup compared to their competitors in the same food court. All I can is that I was still left hungry after this meal. Taste wise, I do hope it will make up for the previous comments. Sadly it wasn't enough. The lechon belly had more fat than meat, it was greasy and the skin wasn't crispy anymore. 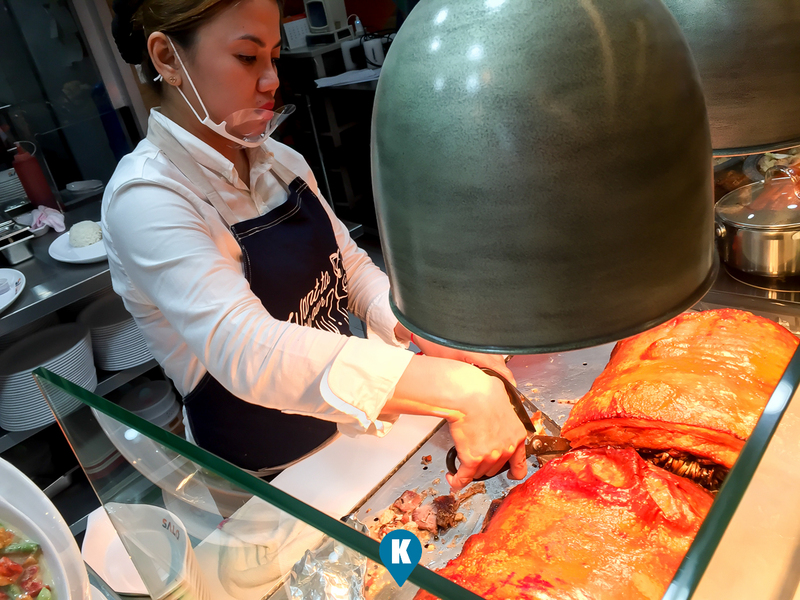 I had high hopes for their lechon but fell short of contentment. The kare kare also was half heartedly good. Thank God for the measly bagoong, I think this saved the kare kare. With few pieces of kare kare meat in it. 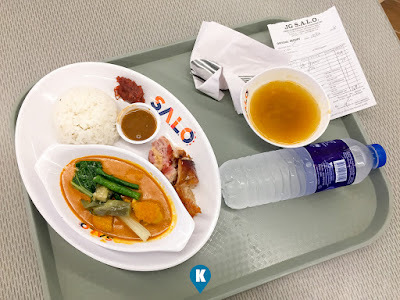 I presumed it was more of soup than kare kare. Good thing I like the soup more than the meat, I spread it over my rice along with the bagoong and I am good with it. For other people, they won't be pleased with this. 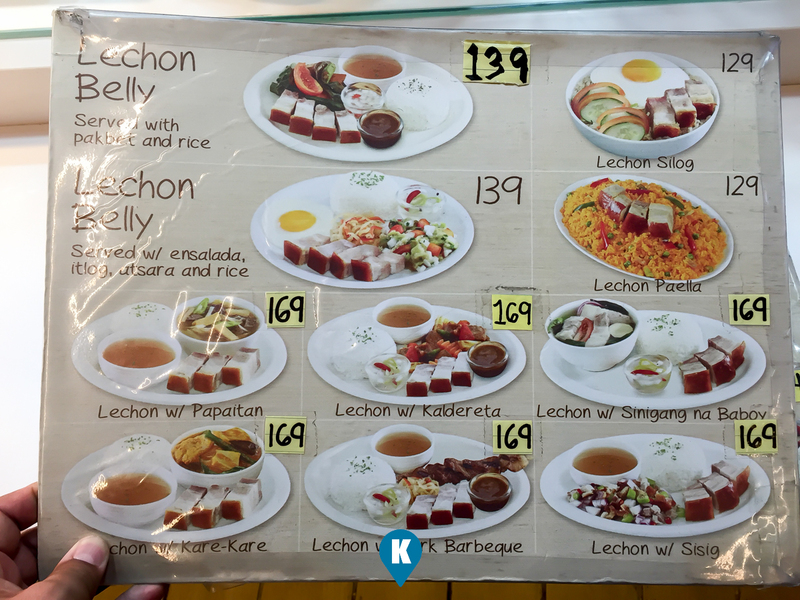 Price wise, my meal costed me Php169 and that's without drinks. 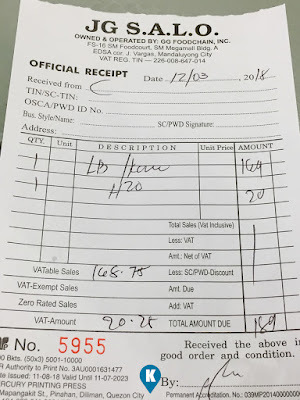 Bottled water here is Php20 which was not bad. But I can't think of a good reason why Php169 was a good price for what I ate. Very small in serving size, taste that didn't tickle my taste buds, I thought I should have went to McDonalds or Jollibee.